In a new report, researchers from Macquarie University are calling for a rethink of global shipping routes, to protect whales and sharks from becoming marine ‘roadkill’. More than 10 billion metric tons of goods travel by sea each year, making up 80 per cent of the world’s merchandise trade. The continual growth of the shipping trade and rebounding of some whale populations post-whaling is leading to increasing clashes between cargo ships and marine giants. Melting sea ice has opened up new shipping routes through previously untouched whale habitats. Marine megafauna like Great Whales, whale sharks and basking sharks are particularly vulnerable to ships because of their size, migration routes and the whales’ need to travel close to the surface for air. Deadly ship strikes are not the only threat to the animals, with vessel noise disrupting whales’ delicate communication, and chemical pollution and heavily used routes fragmenting habitats. 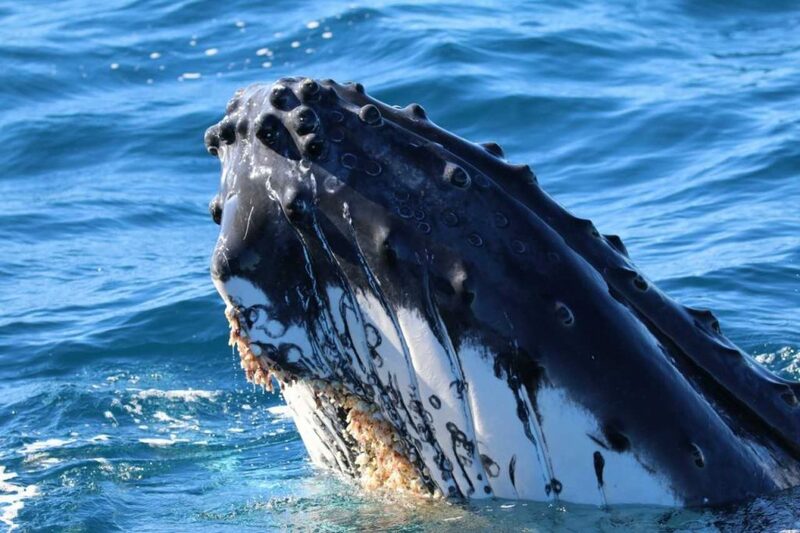 Whale researcher Vanessa Pirotta from Macquarie University’s Department of Biological Sciences said lessons from the wildlife impacts of roads could be applied to the ocean, to prevent marine giants becoming ‘roadkill’. “New shipping routes through whale habitat put vulnerable species at risk, and this study provides a new understanding of how to mitigate shipping traffic impacts on these marine giants,” Ms Pirotta said. The report’s authors propose limiting the creation of new shipping routes in areas such as the Arctic and broadening shipping exclusion zones to take into account the impact of ships beyond the marine roads themselves, such as noise pollution and chemical contamination. Designing cleaner and quieter ships would reduce the risk of oil spills and chemical pollution and reduce underwater noise. In addition, implementing speed limits and detours around whale habitats at certain times of year would mitigate some of the negative consequences. Ms Pirotta said: “New technologies can accurately monitor whale populations and behaviour, and if combined with data about shipping routes and intensity, could provide a clearer picture of their interaction.